Release price guide: Abbey Road on label with catalogue numnber PCS-7088, All. Vintage Record Value Release price guide: Abbey Road on label with catalogue numnber PCS-7088, All. Abbey Road is the collectable edition of title Abbey Road recorded by Beatles. 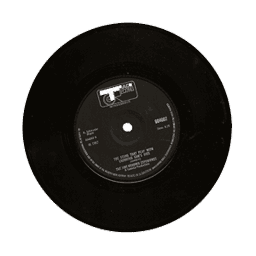 The record was published with catalogue number PCS-7088. This pressing was released in All. This record was release on 1969. It was released as a LP (12") and appeared on the record label. The sleeve cover was designed by an unknown artist. Our auction results for PCS-7088 were last updated on 2019-04-13. Out of 97 auctions 60 items were sold. The best auction result was $329.57 On average $40.82 was the price paid for this record. The Beatles Abbey Road 180G Sealed RM US Pressing. BEATLES * ABBEY ROAD * ORIGINAL 1969 1ST PRESS UK LP PCS 7088 NICE EXAMPLE ! The Beatles - 'Abbey Road' UK Apple LP PCS7088! THE BEATLES 'ABBEY ROAD' 1969 LP APPLE PCS-7088 NEAR-MINT WAX! SOUNDS GREAT! !